You’d be surprised to get a call from a debt collector about a debt you’re sure you paid, and understandably so. It's even more annoying when they continue calling even after you tell them you’ve already paid. It’s against the law for debt collectors to “misrepresent the amount you owe.” So if they’re insisting that you pay a debt that’s already been paid, they’re breaking the law. Before you take it to the highest level, as a complaint to the Consumer Financial Protection Bureau or a lawsuit, make sure there hasn’t been an error. Check your records to confirm that you have indeed paid the debt collection. Review your old checking account statements or pull copies of your canceled checks for proof that you paid. Having proof handy will help get these (and any future) collectors off your bank. You don’t necessarily have to send this proof to the debt collector; if they’re an unscrupulous business, they may have no problem using your checking account information (from the bottom of the check copy) to commit fraud. But, keep your proof of payment handy in case you need to show it to the credit bureaus or the courts. Once you’re sure you paid the debt, the easiest way to stop debt collector calls is to send a cease and desist letter that simply requests the debt collector stop contacting you. Telling them over the phone isn’t enough. You must send a letter, preferably via certified mail with a return receipt request. Once they receive your written cease and desist request, they’re legally required to stop calling you. They are only allowed to contact you once more, in writing, to tell you what, if anything, they plan to do next. Since the debt collector’s calling you about a paid debt, it’s a good idea to check whether they’ve incorrectly reported the debt to the credit bureaus. Dispute with the credit bureaus if the collector has listed the debt on your credit report. Provide copies of your payment for proof that the debt was previously paid. A debt validation request is a good option if you feel certain you paid the debt, but you’re not completely sure and can’t locate proof of the payment. The debt validation letter, which must be sent within 30 days of being contacted by a debt collector, allows you to ask the debt collector to send proof of a debt. When the collector receives your letter, they’re required to investigate and respond with proof (from the original creditor) that you owe. Until they send this documentation, they can’t contact you anymore. The downside is that a debt validation request may not necessarily stop a dishonest debt collector from pursuing a debt you’ve already paid. You can do this if the debt collector ignores your cease and desist letter and continues contacting you about the debt. Or, if you send a debt validation letter and the collector continues collection efforts without sending you sufficient proof of the debt. You can also complain to the CFPB if the credit bureau continues to list a debt collection on your credit report even after you’ve disputed it and shown proof of payment. Keep track of your communications with the debt collector so you'll have detailed records when you complain to the authorities. If you get a lawsuit summons, don't ignore it even if you think you already paid the debt. You need to show up in court and present your proof of payment to keep the debt collector from winning a default judgment against you. Contact an attorney if you receive a lawsuit summons, so you know your rights and have adequate representation. 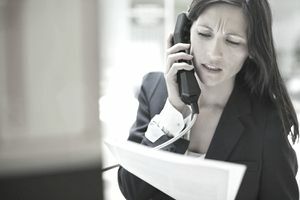 Can Debt Collectors Contact Your Employer?